Designed for bass, a favorite for guitar, this incredibly sub-frequency-preserving unit will hold on to the lowest lows like no fuzz ever heard before. 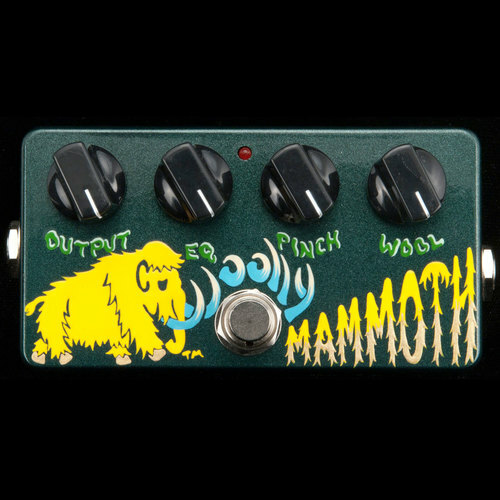 The Woolly Mammoth from ZVEX features a gentle gate for silencing your instrument between notes or phrases, and has an EQ control that smoothly selects between more bass and more treble. This unit is hand painted and made in the USA.